This project required the removal of vinyl floor tiles and mastic from a hospital lift motor room where the lift motors are still operating. This project is to be completed in various stages and the above video shows stage 1 involving the removal of one-third of the floor area. 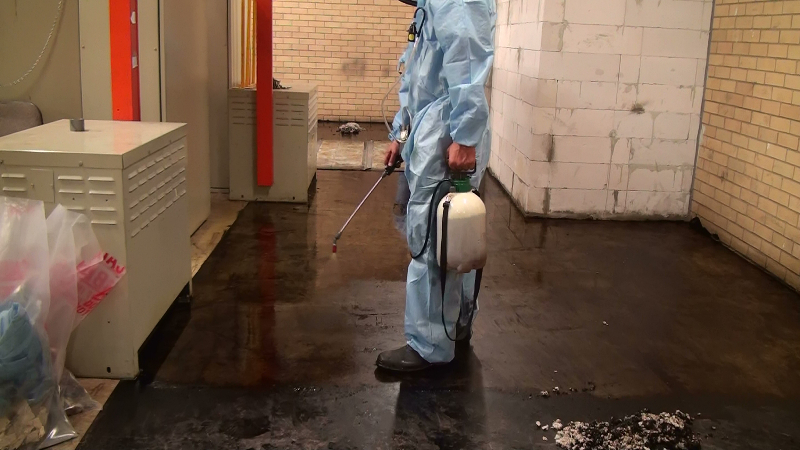 As the client required that the lift motor remained operational, this project would have been time and labour intensive (full encapsulation and dry floor grinding) without the use of the FoamShield™ containment system. Stage 1 of the project was completed in 3½ days with a team of two labourers and a supervisor. We estimate that by using the FoamShield™ containment system, an approximate saving of 60% for labour, time and consumables was made. 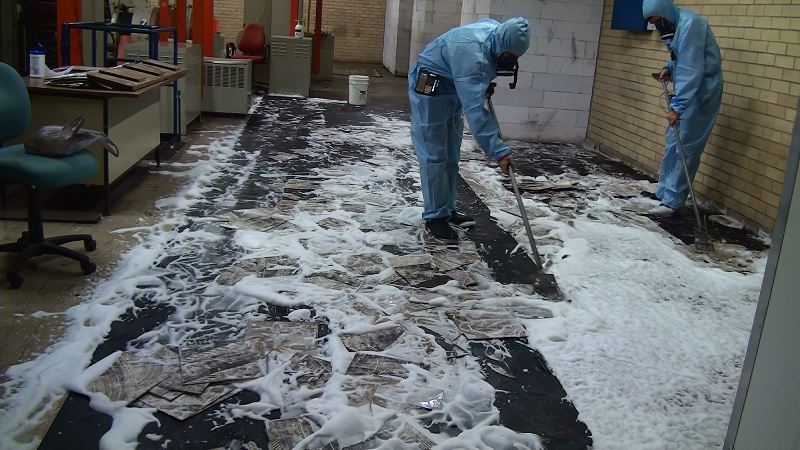 Process: The vinyl floor tiles were foamed using a 16-gallon foamer. Tiles were then lifted using scrapers and rolled into the foam to further encapsulate fibres. 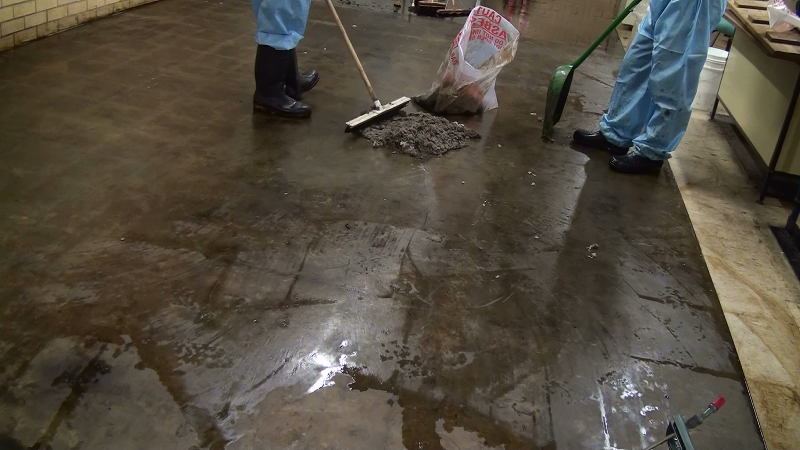 Removed tiles were double-bagged and disposed of as asbestos waste. 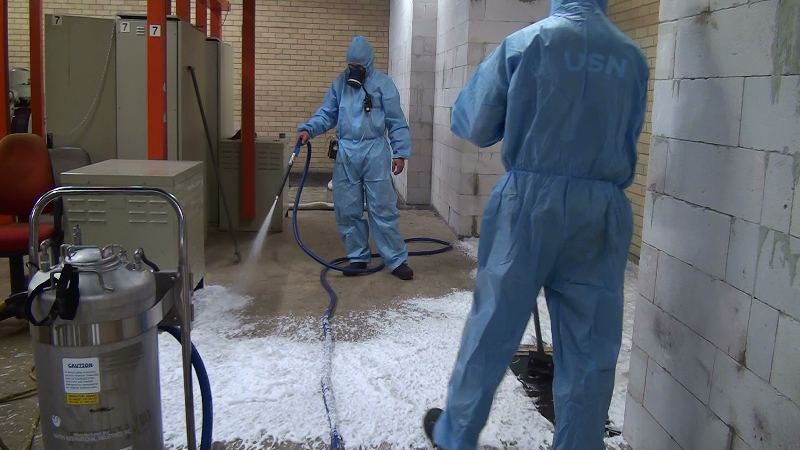 Any remaining foam was captured in absorbent material and also removed as asbestos waste. Mastic remover was then applied and allowed the appropriate time to react with the mastic. 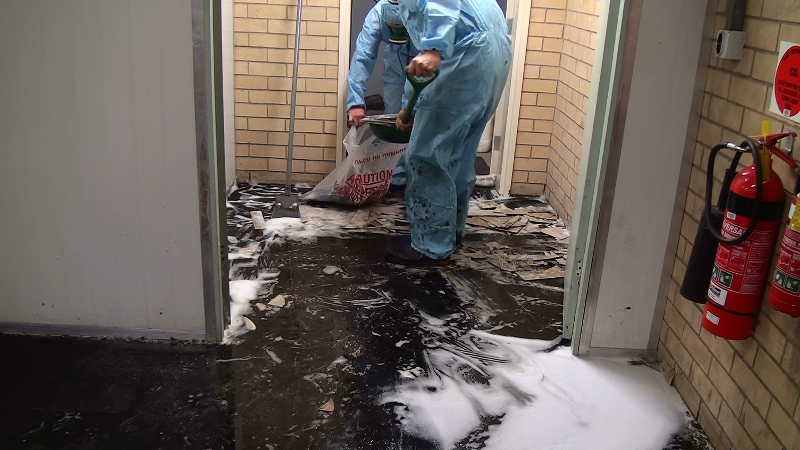 The mastic was scraped into absorbent material, double-bagged and disposed of as asbestos waste. On this particular project, a further application of mastic was required therefore mastic remover was reapplied and scraped into absorbent material and disposed of again as asbestos waste. 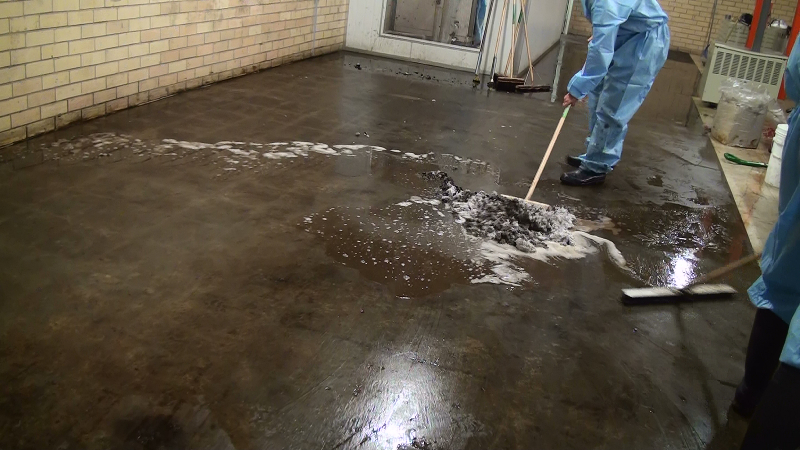 The area was then cleaned using detergent.